Beach ball throwing, dancing, cheers, and a way to expand your mind. 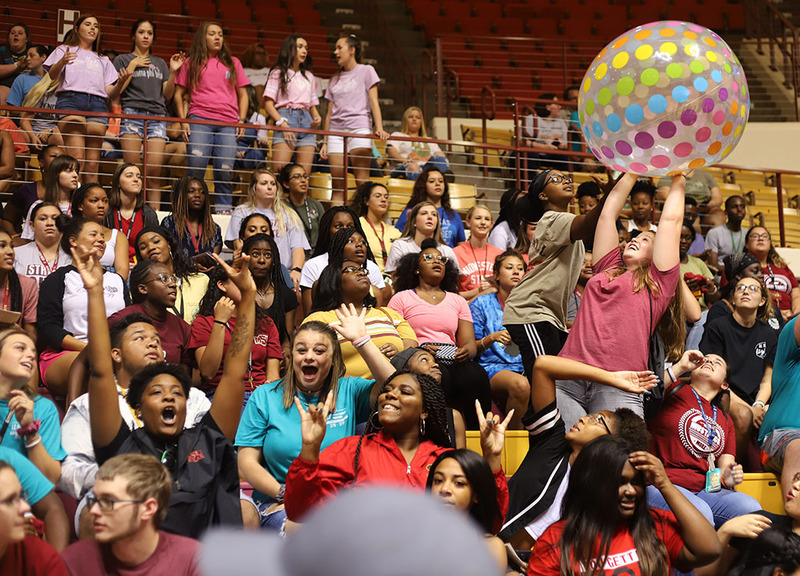 To kick off the school year, and help the centennial class of 2022 to get out of your head, Johnny Covey talked to about 500 students at last night’s convocation in the D.L. Ligon Coliseum. Before Covey spoke, Suzanne Shipley, university president, urged students to engage in things that they may believe are foreign and strange to help them expand their viewpoints of the world. According to Covey, people have a mixed up way of how we view our head and heart when it comes to thinking. Covey also gave context to what he meant by being in our head and why is it a negative thing. “When we’re in our head, the back part of our brain– say like in sports– when I’m in my head, it doesn’t mean I’m using my brain to think, it means I’m protecting. [I’m talking about] that survival brain in the very back of our head,” Covey said. In addition, leaving your head and being your heart is where you can expand and be creative. Covey also thought the turnout was awesome and liked how students shared their experiences with dealing with challenges. “They’re a great group. There’s a few students who shared deeply about what they were experiencing, how they were going from their head to their heart, and to hear other students support them,” Covey said. “To understand that when they have a feeling that’s painful or icky, or doesn’t feel right, look at the thoughts. The thought is probably not respectful, it’s unhealthy this is telling you to change your thinking, when you do you’ll feel better because you’re now in your heart and you can progress. Hannah Firanski, undecided freshman, who attended to “get into the freshman environment” and to be active in her graduating class, said she enjoyed Covey’s keynote. “I absolutely loved him, it spoke to me inside especially struggling with school and it really helped me to blame myself into thinking better thoughts when going into college,” Firanski said. 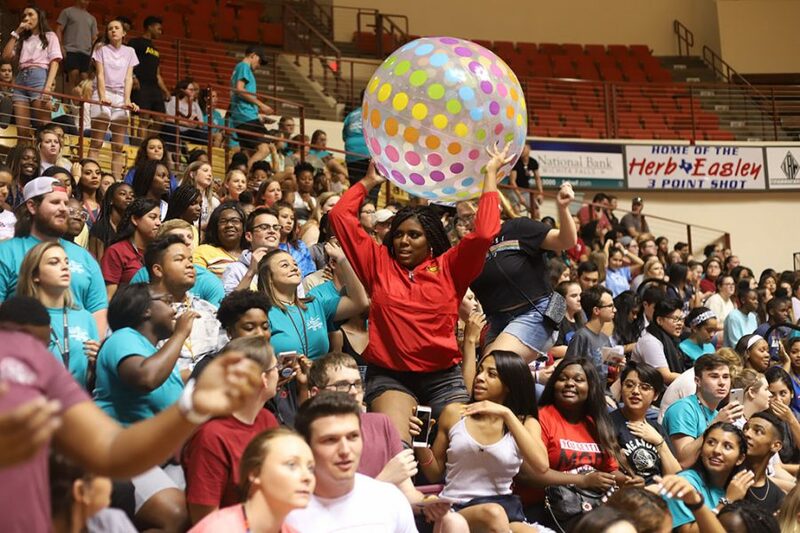 Social Work Freshman, Ariana Rodriguez, was not sure what to expect from the convocation. “I am not sure what to expect, someone told me sort of like a pep-rally, so I guess what I’m looking forward to is a lot of music, everyone sort of meeting each other,” Rodriguez said.